Excellent Carpet Cleaning is a trustworthy professional after builders cleaning company that provides for a rising number of commercial and household clientele throughout Hackney E. We have far more than a decade of practical experience, and the ideal contemporary professional cleaning tools, devices and solvents to ensure that every single speck of leftover dirt, waste, paint and plaster staining and other builders grime is taken out from your newly constructed or renovated premises. We operate in line to all safety and level of quality procedures, and have in depth pre-approved one of builders cleaning and plan construction clean-up check-lists that are followed thoroughly by our cleaning technicians in all sessions. 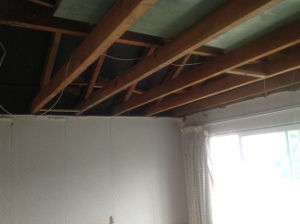 Our service is covered with insurance, reasonably priced and can help turn your property liveable perhaps even after considerable builders and refurbishment work has been completed. Our booking system is as easy as possible. Contact us at 020 3404 0500 or send an online booking request here to our twenty-four-seven customer care staff. You quickly have an e-mail and text message affirming that the booking has been handled within the next 2 hours. No reservation deposit is needed. You can order 1 or several services. We are available throughout weekends and public holidays. The earlier you request our after builders cleaning service, the better the price will be. We have special prices for area property administrators, property agencies and for frequent clients as well. Do anything you can to make sure your home is safer to inhabit in after any renovations have been carried out, by scheduling our expert after builders cleaning service now!